TOKYO (Reuters) -- General Motors Co.will begin talks about taking about a 10 percent stake in Isuzu Motors, as the two carmakers look to jointly sell commercial vehicles in Asia and in Central and South America, the Nikkei business daily said. 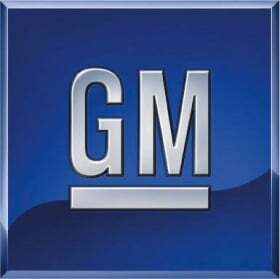 If realized, the deal would revive a 35-year capital alliance that was scrapped during GM's 2006 restructuring. It may also prompt Toyota Motor Corp. to sell its 5.9 percent stake in the Japanese truck maker because the GM link-up would compete with its own established markets in Asia. Isuzu will end capital tie-up talks with Volkswagen AG, although it will continue negotiations on supplying pickup trucks to Volkswagen in Thailand, the paper said. Isuzu could not be immediately reached for comment. The two automakers are expected to start negotiations in early May and are working on a meeting between Isuzu President Susumu Hosoi and GM CEO Dan Akerson to sign an agreement this summer, the paper said in a report on Sunday. The two are considering jointly developing pickup trucks and joint production and distribution facilities in Southeast Asia, the paper said. A 10 percent stake would make GM the largest shareholder in Isuzu, passing trading house Mitsubishi Corp., which holds a 9.2 percent stake. The two could agreed to talk about lifting GM's stake size in the future, the paper said. But Isuzu may shy away from a stake sale to preserve its independence in management and development, the paper said.